The Effect of Temperature on Heading Dates of Winter Cauliflower in West Cornwall. Quantifying the climatic difference between different sites in West Cornwall and relating this to differences in harvesting date. I thoroughly enjoyed the conference I attended in Toronto. Another highlight was when data from my research into temperature loggers showed very clear differences in eight locations, which were not that far apart within Cornwall. Validating the Maturity Prediction Model so that it worked in a commercial setting. 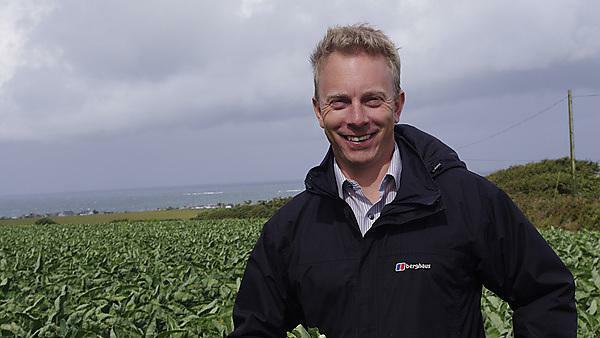 I trained as an agronomist (technical manager) and now run my own seed sales and consultancy company, Fresh Produce Advisory Ltd, based in Truro. Be prepared to start at the bottom, but if you apply yourself and make the most of on-the-job and academic opportunities progression can be swift. How did your time at the University of Plymouth help you? Studying at the University allowed me access to experts in the field (Professor Mick Fuller) and led to a number of industry contacts. Would you recommend undertaking research at the University of Plymouth, and why? Yes. Completing research at the University of Plymouth allows access to great academic expertise and good links with industry. For more information about studying a course within biological, health, chemical and agricultural sciences, please visit the course and programmes page. If you would like to find out what other alumni from the University of Plymouth's Faculty of Medicine and Dentistry are currently doing, please visit the biological, health, chemical and agricultural sciences interest area.